Another finals season is upon us and another school year is winding down. The finish line is close and it’s time to make this one last surge count. Self-care: Sleep. Exercise. Eat healthy foods. Meditate/pray. Hang out with friends. Find quiet time. 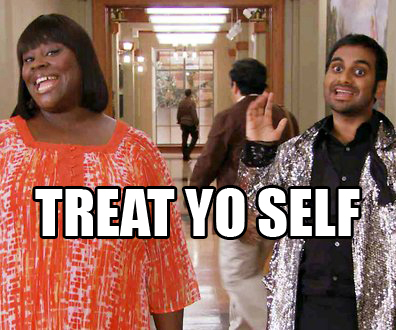 You know all of those things you do when you want to #treatyoself? Now is the time to do those things and do them often. Avoid the temptation to study ‘round the clock and give your brain and soul a respite. Take advantage of extra study sessions: Is your professor holding a finals prep meeting? Does your TA have office hours leading up to the big day? Are any of your classmates willing to meet up for an impromptu group study? These extra resources can boost your confidence before an exam and provide refreshers on challenging material. Use campus resources: LivingWell has a whole week of activities known as De-Stress Central! In a single day, you can celebrate Tucker’s birthday and meditate. There’s also the Gucciardi Recreation and Fitness Center, Learning Co-Op, ALANA Student Center, Women’s Center, LGBTQA Center and so much more. It’s never too late to take advantage of these great resources. This has been an incredible year of growth, learning, and change. Finish out strong and look forward to celebrating your successes in just a few short days. And know that all of us at the Career Center are cheering you along and will be waiting for you on the other side to continue conversations around your personal career development.